There were things I had expected out of the advertisements during the Super Bowl. Looking at Bud Knight, his skull was crushed and his body burned by a dragon was not one of them. Maybe it's because Super Bowl LIII sucked loudly, but Monday morning I'm back to think of this commercial. We witnessed a murder, a genuine god-honest murder of Bud Light's mascot in a way that was so embarrassing, so over-top that you would think it was created by a competitor, not Budweiser himself . Normally, Mascots disappear when an ad campaign ends. They entertain us, stuck in our heads and leave just to be replaced with the next captivating thing. 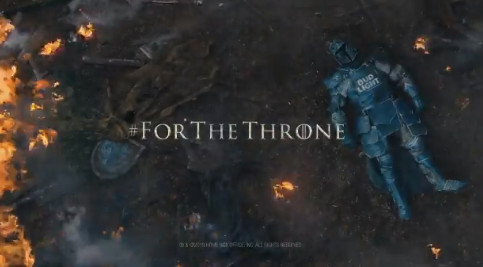 I still can't believe that Bud Light spent millions of dollars on a Super Bowl spot, just to horrificly kill Bud Knight using a strange Game of Thrones . They didn't just kill Bud Knight, he was brutalized. 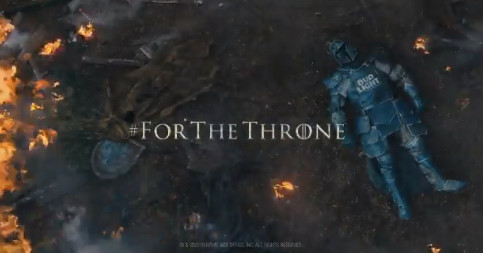 Somehow, a one-minute ad space managed to get him to knock off a horse that was killed by The Mountain, and then, when you think the dragon will save the day, you realize his remains are just burnt to a sharp, because dragons are only loyal to Daenery's Targary, not alcoholic beverages. When Taco Bell Chihuahua's watch was made, we didn't hear how Gidget died of a stroke in 2009, or continues to follow the careers of "Whassup?" guys. We never found out if Mayor McCheese brought universal health care to McDonald's, or if Domino's Noid died while returning to his homeland. Bud Knight though … super dead. Perhaps the strangest part of all this is that I don't know who the ad should target. Was there a piece of the Venn chart that showed that beer drinkers and Game of Thrones fans needed their blood needs so sweet? What should both sides get out of this? It's not like people are confused about what Bud Light is or what Thrones Game is. Look, it's maybe one of those "he's not really dead" things, and in a year we get Bud Knight Rises but in that case Bud Light destroyed the golden horror movie rule: Something is actually dead if you see the body. Also they really push the concept that the knight is completely gone. The best part of all this is that HBO must call every shot with this ad. Budweiser became uncomfortable with advertising, according to a report by Morningstar – but lost the match. Bud began first agreement. But rude with the violence, the company started filming began – even to suggest alternative ideas such as getting the knight to be turned up but living. HBO marketing director Chris Spadaccini said he made it clear: "Bud Knight had to die." Somehow, HBO must completely kill Bud Light's mascot, and Budweiser did not get anything in return outside ad that people are not talking about Monday morning. Except for me because I'm obsessed with how this happened – and I want to think about it all day long.